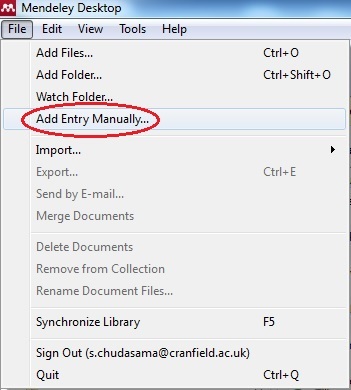 Drag and Drop – drag files or folders from your desktop directly into your Mendeley account. This is as easy as it gets! Citation information will be automatically extracted from the files. The information is then organised by author, title, publication year, etc. Import references saved from other bibliographic packages e.g. Refworks (.RIS file), Zotero, Jabref, EndNote (XML file). The Mendeley web importer – download this from Mendeley. If using Google Chrome you can install Mendeley’s browser extension which allows you to save articles from supported sites. For other browsers, you can install the bookmarklet. 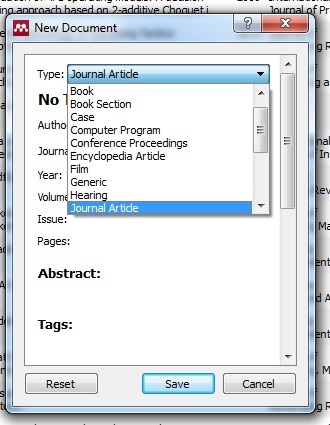 Simply click and drag it onto the toolbar of your web browser then, whenever you’re viewing an article or list of references on the internet, click on the button to import the reference(s) directly into your Mendeley library. You can access a video explaining these three options of importing documents into your library. Watched Folders – Set up folder/s for Mendeley to keep an eye on. Every time a new document is added to it, it will automatically be uploaded to your Mendeley account. Add specific files or folders – Use ‘Add Files’ or ‘Add Folder’ from the File menu (pictured above) to either add a specific paper or the contents of a folder from your computer. As always, if you have any questions on Mendeley or on referencing in general, please contact MIRC with your questions.